« Mr Google surprises me..! Would love a signed copy!! Will the bookstore send to the States or only UK? We’re enquiring–but I’d guess yes, Bonnie. Sorry. We ordered one through Amazon a month ago. Great Christmas present for my wife Ann. Nothing to apologize for!–thanks and I hope Ann enjoys cooking from it. on January 6, 2014 at 7:28 am | Reply Caroline P.
Your new cookbook looks attractive, are there pictures in it to see how the result will looks like? Have a nice signing day! Thanks Tina–it’s is tomorrow! but your good wishes much appreciated. Wishing you a brilliantly happy day full of family, friends and fabulous food. I can’t wait to receive your new book which I have ordered from the lovely people at Books for Cooks. Thank you for your on-going commitment to healthy food for everyone with recipes that even I can manage! Have a fantastic day and year. 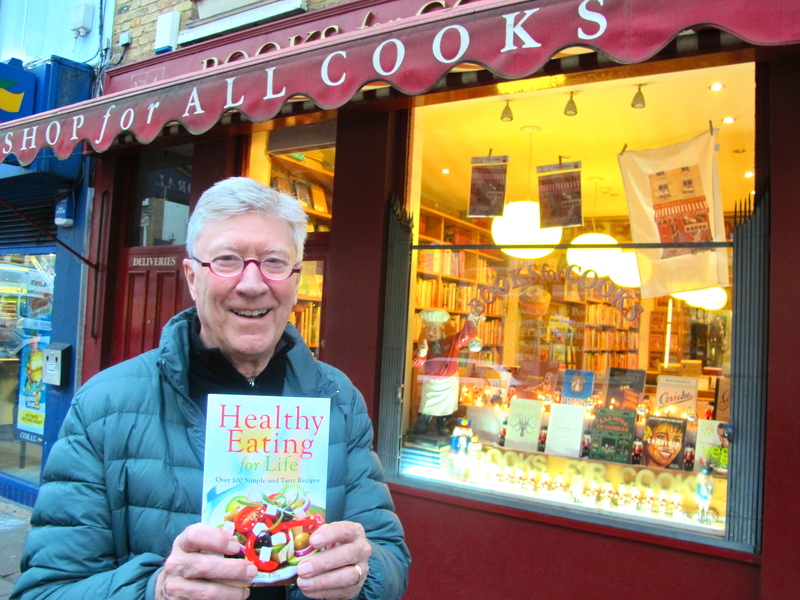 Thanks Lana for your good wishes–and happy to hear Books for Cooks are helpful–it is a lovely bookshop. Just would like to wish you a very happy birthday and good luck with your new book. Perhaps you will be coming to the wet West Country in due course? on January 8, 2014 at 2:19 pm | Reply Caroline P.
and I wish you many happy returns of the day! Happy birhday to youuuu- happy birthday to uuuu- happy birthday Mr Elliiiiis (aka Ross Poldark) Happy birthdaaaay toooo uuuuuuu! And many moooooooore!!! Wishing you many happy returns of the day and hope you and your family both human and feline had a very Merry Christmas and a happy and healthy (no morbid soar throat etc) New Year. I hope you will be able to come to Long Island or New York City for a book signing. I would truly love a signed copy. 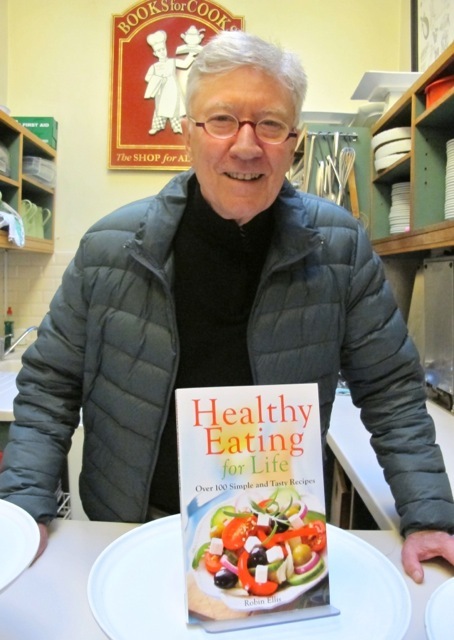 If not, Im getting the book just the same because your diabetic book has been a huge success in my home and has reestablished me in the kitchen on sundays cooking again of which my family has been truly enjoying and I thank you for that. When are you coming to the New York City area again? I love your recipes and definitely will purchase your new cookbook! They have passed an acid test with a vegetarian friend who raves about them. Mary, we are planning a trip in March–and looking forward to it. I’m thrilled your vegetarian friend likes the recipes. on January 10, 2014 at 2:54 am | Reply Dianne P.
Thanks Dianne–I had a lovely time. Donald’s cream gun was a potential threat but when I promised to eat some cream with Meredith’s chocolate dessert he relented! Commonwealth Games, Glasgow, in July! Perfect time for a book signing? Then off to the Festival in Edinburgh! One can only hope! lol And a happy birthday to you sir! My 51st is tommorow!…I,ll raise a Wee glass for you n yours! Cheers Robin..Maurice in Glasgow! ps its good to be a capricorn! Well Happy Birthday to you, Maurice and many more to come! I hope u received my good wishes for both the holidays and your birthday! I just finished reading Making Poldark and I enjoyed it so much, that I had to watch both Poldark series again! Only this time it was even more enjoyable because I was aware of the behind the scene antics. Well here’s hoping to meeting both you and your wife Meridith in March for your new book signing! So exciting! I wish you great success with it! Thank you Georgene for your good wishes and I’m very happy you enjoyed Making Poldark. We’ll let everyone know of course if and when we’ll be coming to the US. Sounds like a plan! Hope it come to fruition! on January 17, 2014 at 10:28 pm | Reply Dianne P.
Thursday, Dianne and it was a blast–sold out of books by 7.45pm! on January 20, 2014 at 12:44 am Dianne P.
Can’t wait to see you both again (hopefully) in March! BRAVO and CONGRATULATIONS! Wishing you continued success with your new book. Take care.